Vodacom Business Nigeria has organized a three day ICT workshop for the students of the Benue State University as its own contribution to the development of ICT knowledge in the tertiary institutions and youth empowerment in fulfillment of its brand promise, “Power to You”. The workshop which is aimed at exposing the students to practical application of the theoretical knowledge of ICT had in attendance lecturers and students from the Department of Mathematics/ Computer Science of Benue State University who were taken through real life scenario of ICT. Speaking during the workshop which took place at Vodacom’s corporate office in Lagos, the Managing Director of Vodacom Business Nigeria, Guy Clarke emphasized the company’s belief in youth empowerment and its commitment to giving back to the society as a way of contributing to the development and wellbeing of the people. “Running a business is not only about profit making but impacting positively on the society and we will stop at nothing towards contributing our quota to the development of this country through improvement of the educational sector”, Clarke said. He urged the visiting students to make good use of knowledge gained during the excursion to have hands-on experience and contribute positively to the increasing growth of ICT in Nigeria. 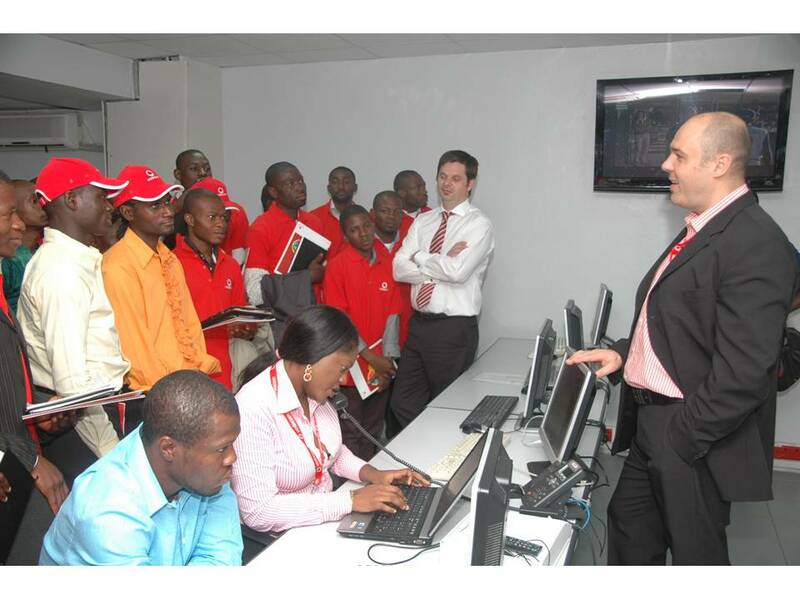 Taking the students through on the practical application of ICT, the Executive Head of Networks of Vodacom Business Nigeria, Vernon Van Rooyen explained in detail the various network equipment, coverage and operations, explaining the equipment functions and maintenance. He equally took them on a tour to the various departments of the company and intimating them of the products and services being offered by the company. The students had a view of the Vodacom Business Data Center and learned about the company’s Managed Hosting Services with very keen interest in SaaS (Software-as-as-Service) and IaaS (Infrastructure-as-a-Service) which is one of the many services provided by Vodacom Business. Adeyelu Adekunle, Assistant Lecturer, Department of Mathematics/Computer Science of Benue State University commended Vodacom Business for its Youth empowerment initiative and urged other corporate organizations to emulate them adding that investing in students is a worthy cause as they are the future leaders. In the same vein, Fanen Laha, a final year student of the institution expressed his gratitude and thanked Vodacom for empowering them with ICT knowledge. He pledged that the knowledge gained at the workshop will go a long way in shaping and preparing him to embrace the challenges which he will face in the labour market.